It’s that time of the year when your favorite stars from Star Vijay shows will come together to live a night replete with glitz and glamour. 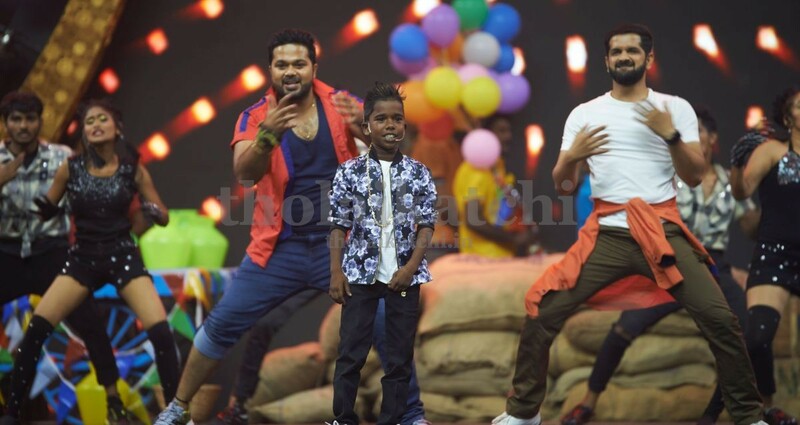 Yes, one of the most celebrated events on Tamil television, the Vijay Television awards has happened bigger and better.So, Star Vijay left no stones unturned to celebrate its in-house gems and celebrities. 5th annual Vijay Television awards took place in a grandeur way on April 6th in EVP film city. Vijay TV has always nurtured great talents and is proud to celebrate them. There was lots of celebrity walk-ins, lot of surprises, celebrations, emotions and what not.The event saw many prestigious award categories like Best Mother, Best Marumagal, Best serial and what not. The event was hosted by the darling anchors DD and Ma ka pa Anand. Stars from all the fiction and Nonfiction gave their presence and the gorgeous heroines flaunted the Red-carpet attire. There will be many special acts from your favorite television celebrities. The Pandian stores family gave a dance performance on love, emotions and sentiments involved in a joint family. And also, a fun filled classic performance is awaiting from Naam iruvar Namakku iruvar team. Also, don’t miss the rib tickling spoof act on our very own popular serials. A patriotic performance from the favorite dancers of our channel will melt your heart down. Tamil television’s favorite reel and real pair is our Raja rani fame Sanjeev and Alya manasa. This cute couple had a surprising engagement day on the sets of Vijay Television awards. The romantic spark started from the previous season of this awards ceremony. Don’t miss this romantic and cute segment.And many other surprising and dashing acts from various celebrities is awaiting. The Event saw more of emotional, fun and entertaining moments. Lots more, so get ready to watch glitzy night of the prestigious Vijay Television awards on Television soon.